FIVE-MONTH-OLD twins are being treated for burn injuries at hospital following a fire in a house in West Cork. A one-year-old is also being treated for injuries following the incident, which occurred this evening in Drinagh at about 6.30pm. Gardaí, emergency services and the Rescue 115 Coast Guard helicopter all attended the scene this evening. 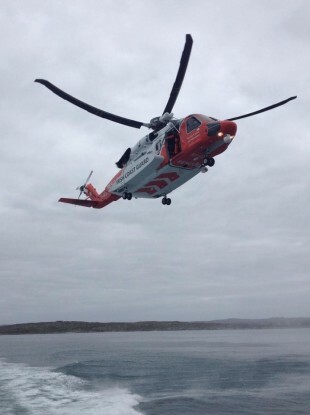 The Valentia Coast Guard was also involved with the operation. Emergency services are still at the scene of the fire and gardaí are investigating the incident. Email “Three infants airlifted to hospital with burn injuries after fire in West Cork ”. Feedback on “Three infants airlifted to hospital with burn injuries after fire in West Cork ”.